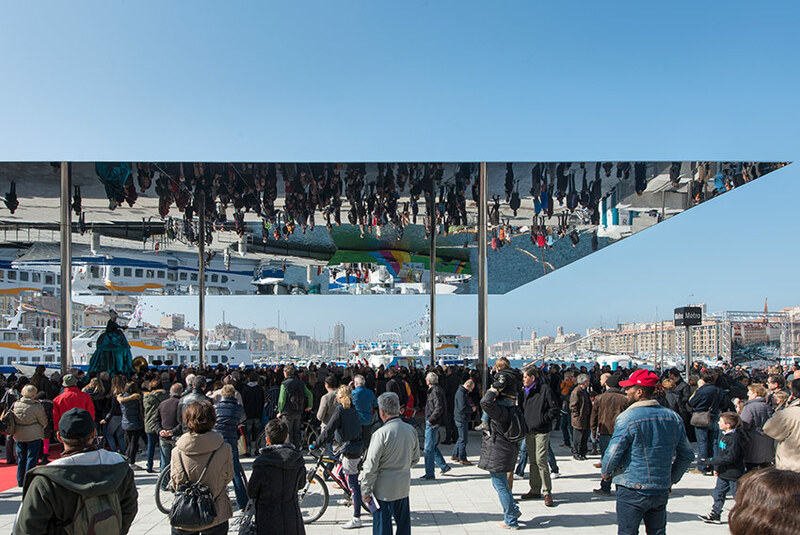 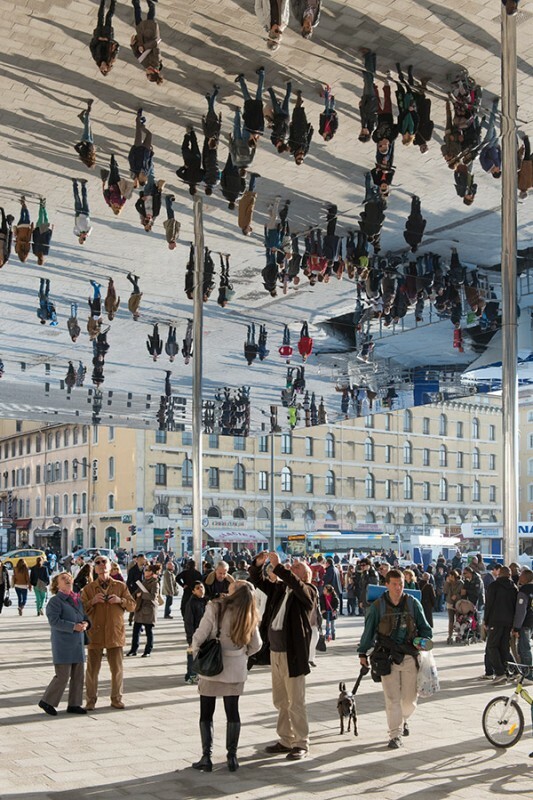 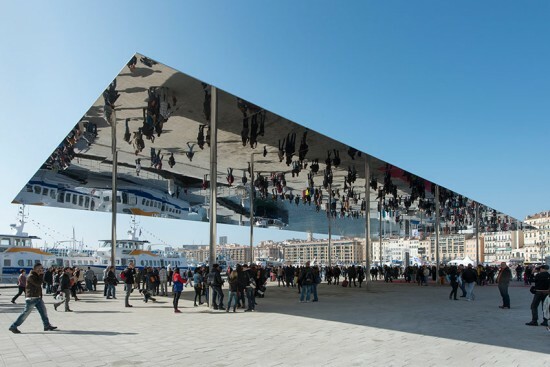 Norman Foster has hoisted a slender sheet of mirror-polished stainless steel above a plaza on the edge of Marseille’s historic harbor, creating a new pavilion that reflects the activity of the bustling public space overhead. Foster + Partners’ “Vieux Port” pavilion officially opened over the weekend in the French city. 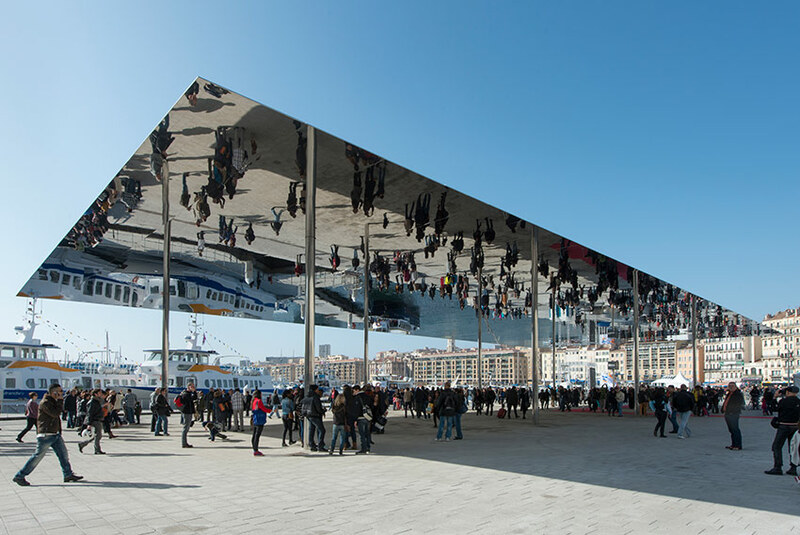 The pavilion roof measures 150 feet by 72 feet, tapering at its perimeter to create the illusion of impossible thinness and is is supported by eight thin stainless steel columns inset from the pavilion’s edge. The project also enlarged the pedestrian area around the harbor and calls for traffic reductions in the area to improve pedestrian safety and restore connections with the surrounding city. 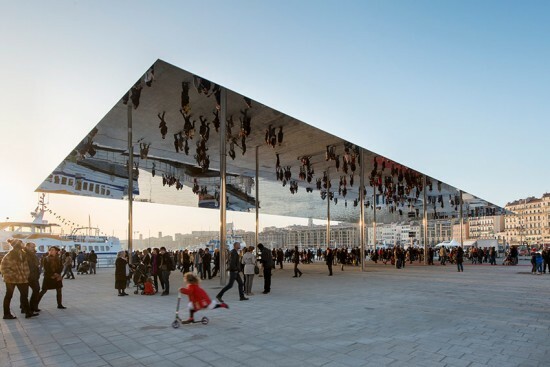 Foster worked with landscape architect Michel Desvigne to create the surrounding plaza, paved in a light-colored granite that match the site’s original limestone cobbles. 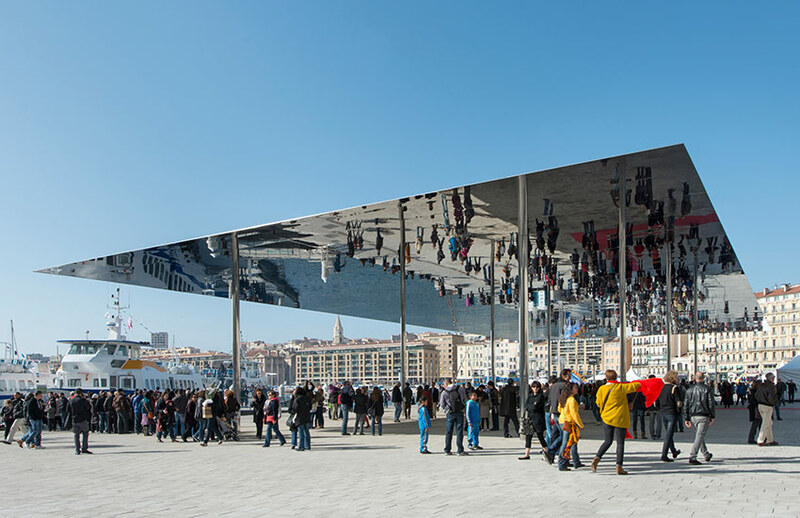 Small wooden pavilions are placed around the plaza’s edge and can be used for special events or markets.